In my previous blog post I visualized data on James Bond films both with Google Charts and with ggplot2. Because I skipped the code relating to ggplot2, here I’d like to look in detail at how to use ggplot2 from F#. Currently ggplot2 is my go-to visualization library (unless I need to embed a plot - check out the James Bond bubble chart!). Here I summarize some of my experiences with using ggplot2 from F# through the RProvider. I also put together a simple wrapper around the most common ggplot2 functions to simplify the usage. 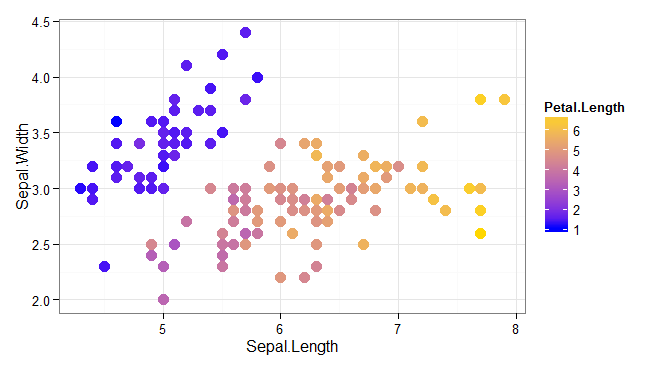 Ggplot2 is a plotting library developed for the R environment. The library uses a compositional approach to plots where the result is composed of graphical elements, each adding a specific data or visualization layer. 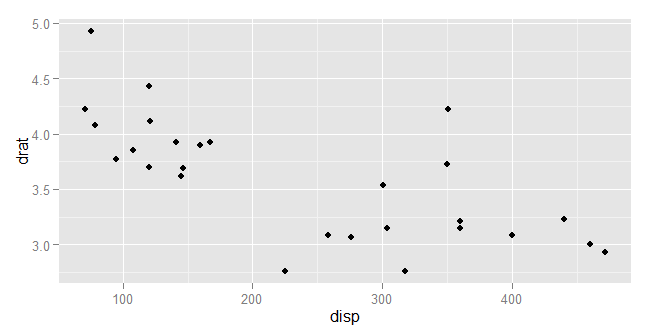 This may sound complicated - but for simple cases ggplot2 has easy to use functions with sensible defaults. For more complex layered plots, it allows customizing almost every aspect. The flexibility of ggplot2 is great but what makes it truly usable is that it comes with a good documentation. As an example of some more complex and customized plots that I created using ggplot2 recently, below are two plots I used in my PhD thesis. In F#, in principle we can call any R function through the RProvider. Unfortunately, using ggplot2 with RProvider can be rather verbose and cumbersome. I’ll illustrate some of the issues in the next section and then I’ll introduce the F# wrapper, ffplot. Inside R, creating a simple plot is relatively straightforward. In the code sample below I first open the necessary packages. Then I load an example dataset - the mtcars data frame which describes several properties of 32 cars tested in the 70’s by the Motor Trend magazine. After loading the data, I initialize the ggplot with the dataset and define a so-called aesthetic mapping in the aes function. The mapping relates the data to visual elements or properties: in this case the x axis is defined by the disp column of the mtc data frame, and the y axis is defined by the drat column. Then I choose an appropriate visualization method, in this case it’s geom_point that creates a scatter plot combining the data frame with the aesthetic mapping. 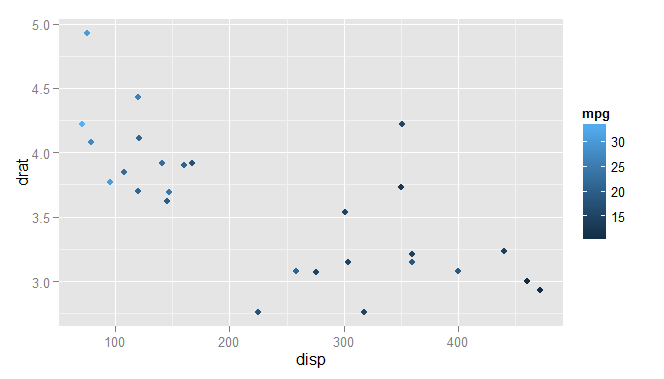 This is because the ggplot function is extremely flexible and accepts any number of parameters. This may be OK in R, but it complicates the usage from F#. First, we have to specify names for all arguments that we pass into ggplot, which is done through the namedParams function from RProvider. Second, we have to identify columns in the dataframe through their names specified as strings - and we do that using the R function aes_string. This is because F# represents data frames differently from R.
So far all the examples were using a Deedle data frame (created from an R data frame). But the usage is not limited to that, we can also use our own data. The only important thing is that ggplot2 is built around data frames which means that we have to transform any data into an R data frame before we can visualize them. The code snipped below creates a simple dataset and transforms it into an R data frame with two columns named “X” and “Value”. 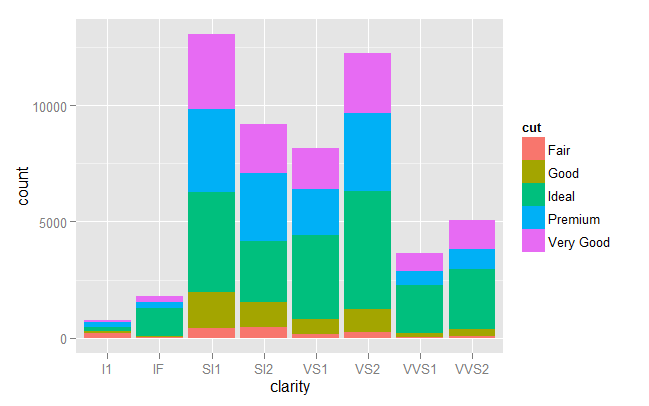 Then we call the ggplot function to visualize the plot, using the column names in the aesthetic mapping. the x and y values, and the colour and fill values that specify optional colour mappings for the visualizations. If you would like to add more, please send a pull request! Here I shown some simple usage of ffplot and ggplot2 together in F#. In the Github repository I also included the examples.fsx file showing more examples of various types of plots - histograms, bar plots, density plots, and also some more complex plots. This F# scripts loads all the necessary dependencies and adds a printer for F# interactive which displays the R plots. I would like to finish with a simple tip. 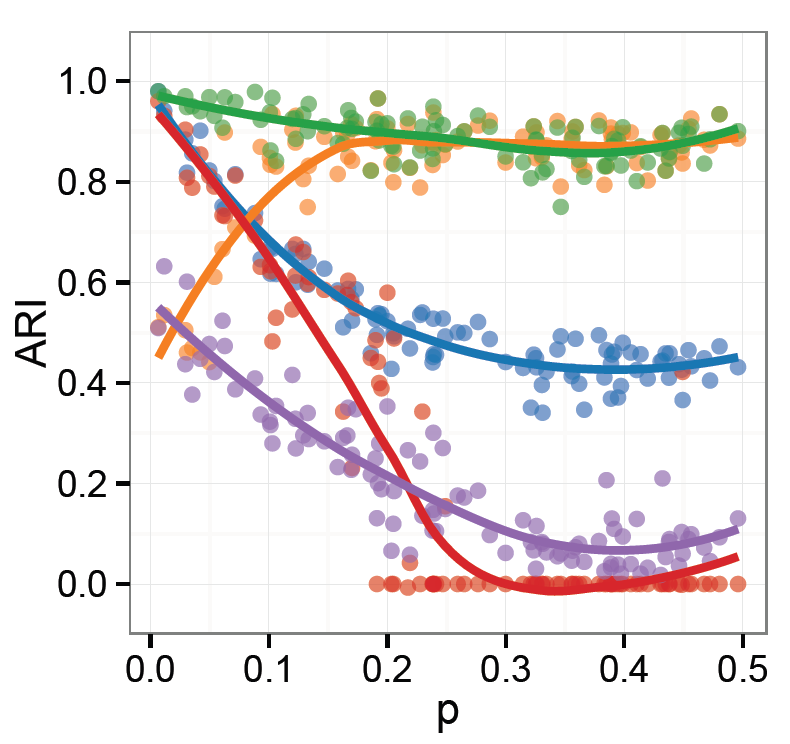 When using ggplot2 to create plots for my PhD thesis, I wanted all the plots to share a similar visual style. I wanted all the plots to have the same theme, the same colour scheme and the same font sizes in titles, axes and legends. All these can be of course specified in ggplot2. What I found useful was to create a single function that specified all the size and theme settings and then apply it to every plot that I was generating to keep a uniform visual style. This piece of code shows an example of such function that tweaks font sizes in axes, legends and titles. Then it’s applied to a plot, using the same compositional approach as the ggplot2 library. You can apply the same approach with most charting libraries available in F# (such as XPlot) because they use functional style that allows applying functions to entire plots. But with ggplot2 this makes even more sense. The settings tend to be verbose and some of them require extensive digging through the documentation. By separating them in a dedicated function, they can be reused and applied across multiple plots of different types to keep the same style. This blog post uses FsLab, you can download a template here. This website is generated using Hugo and hosted on GitHub. Please submit issues & corrections on GitHub here. Unless explicitly mentioned, all articles on this site are licensed under Creative Commons Attribution-ShareAlike 4.0 International License. All source code samples are licensed under the MIT License.